NEW EpiGen Daily-Detox Serum, together with a new 50 min treatment Urban Repair. Targets the damaging effects of daily pollutants on the skin and helps to repair the cellular structure to restore the skin’s natural wellness. This facial combines a deep pore decongestion with advanced treatment to support the detox process, accelerate epidermal regeneration and boost metabolism. Contact your preferred spa to make a booking and rates. Why Epigenetic Science as the basis of the new QMS Medicosmetics EpiGen Daily-Detox Serum? The impact of increasing levels of pollution can be seen in the health of skin on a global scale. The microscopic pollutant particles that can be found in the air (particularly in the more urbanised environments) are particularly damaging as they don’t just affect the surface of the skin but they can also penetrate into deeper layers and this is where the more long-lasting cellular harm is done. With a weakened defensive barrier, the skin can become prone to irritations, dehydration, increased sensitivity and premature aging. This compromise to our skin’s health can start at a very early age. Epigenetics describes the physiological reprogramming that occurs in the cell without changing the DNA sequence. All cells in your body have the same genome, different genes are activated or deactivated at different times; external or environmental factors are particularly known for their ability to negatively impact our genes. The science of Epigenetics provides us with a greater understanding of the functionality of genes and when used in skincare helps us to deliver greater accuracy and efficacy. 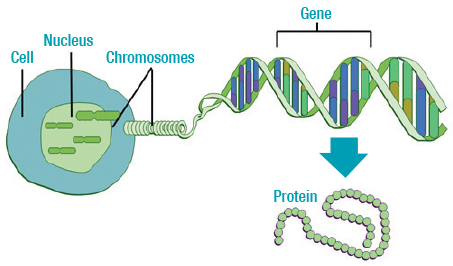 Epigenetics affects how genes (DNA) produces proteins (building blocks of life). Aging leads to chemical modification of our genes and can turn certain genes off or alter their efficacy over time. Epigenetics can reverse the genes state and keep the good while eliminating the bad; therefore, slowing down aging. 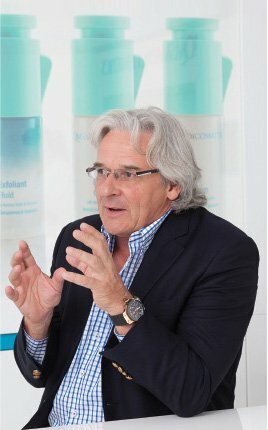 QMS Medicosmetics is at the forefront of this technology using Epigenetic-Peptide to repair and protect our DNA, offer antioxidant protection against free radicals, regenerates and restructures the epidermis and restores the skin’s protective barrier – ultimately reversing signs of aging and promoting youthful radiance.